It's an honor to be represented on Canyon Road in Santa Fe, a destination for art lovers from all over the world and an important site in Santa Fe’s long and rich art history. Convergence Gallery was founded in San Francisco 30 years ago by artists Bennie and San Merideth, and was moved to Santa Fe in 1993. 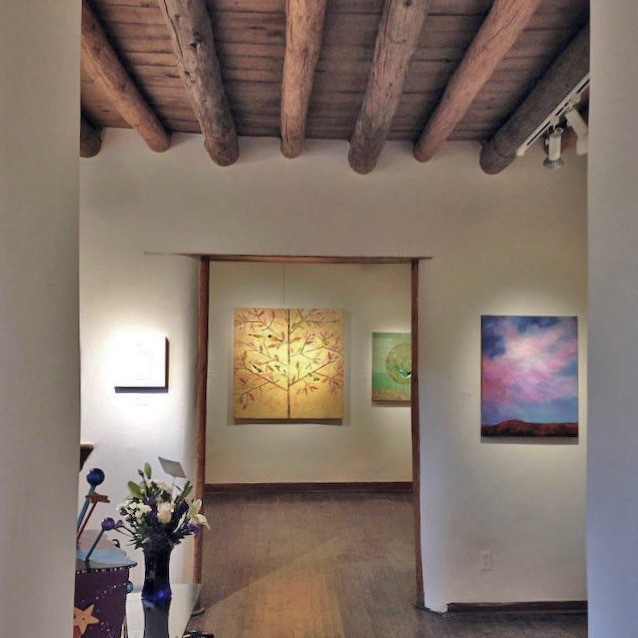 The gallery space is a renovated historic adobe of seven welcoming rooms, old viga ceilings and charming architectural details. I work to keep a significant inventory of my latest paintings exhibited there at all times, so please stop in when you are enjoying your walk up Canyon Road. TROVE Gallery (formerly CODA) introduced my work in January 2013, with a solo exhibition in conjunction with the opening weekend of Sundance Film Festival. Owner Jen Schumacher is a most delightful gallery host who loves what she does, and the array of fine art and craft is a pleasure to discover. She always has a nice variety of my latest mixed media with oil works on panel. 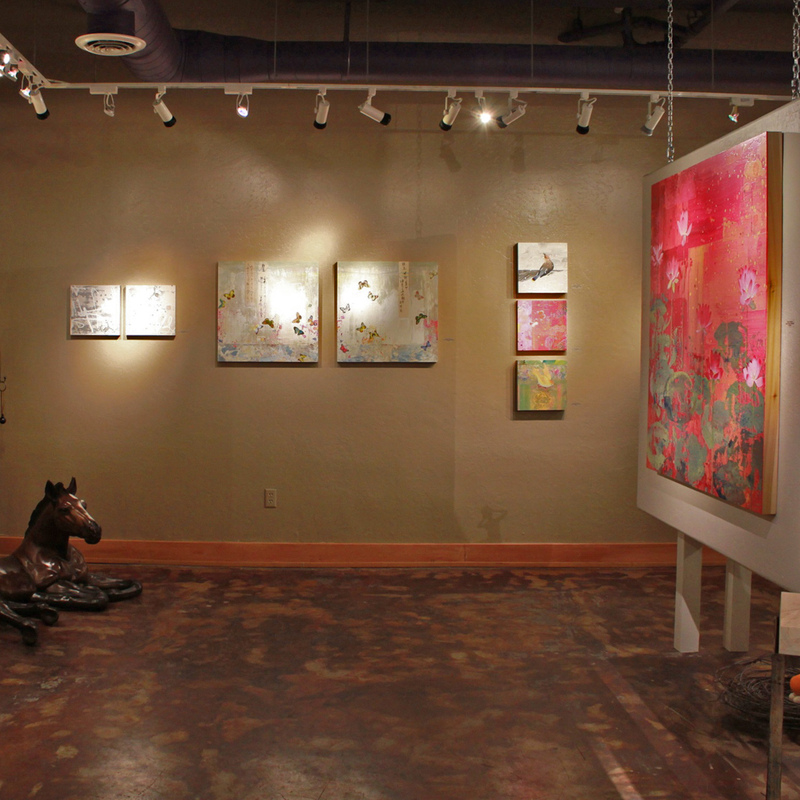 This gallery is a playful and colorful gallery to visit when you are in the Park City area. I’ve shown my work at Art and Soul since it opened in 2000, and over the years have been honored there with several solo and group exhibitions. Owner Debbie Klein has created an inspiring, contemporary 3000 square foot space on the east end of Boulder's Pearl Street Mall in which to view excellent work. 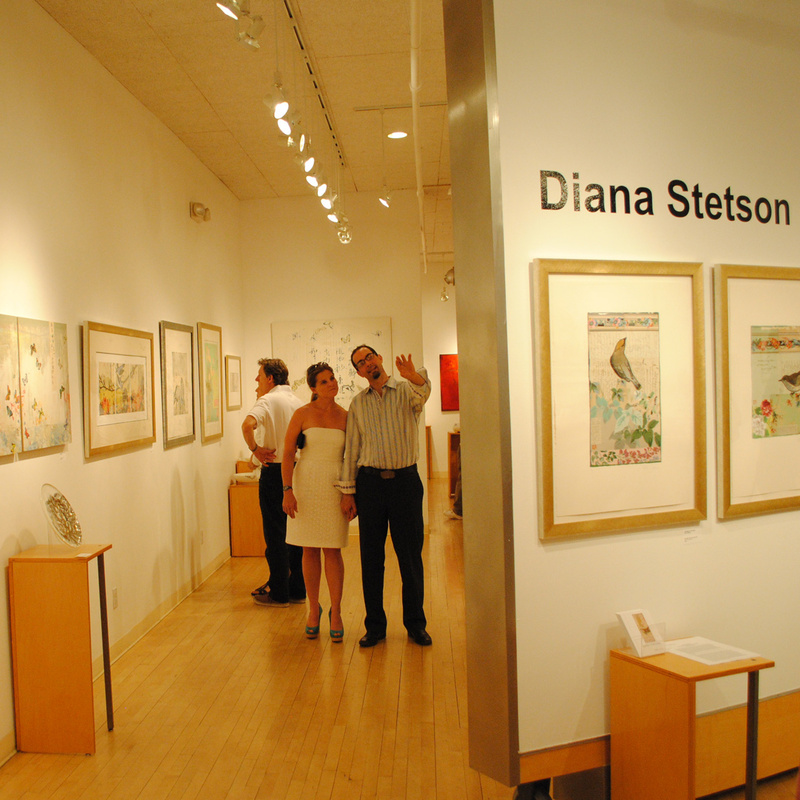 Art and Soul has consistently been recognized as "Boulder's Best Gallery" by various readers’ polls. In 2011 it was a top 10 finalist for InStore Magazine's "America's Coolest Gallery" award. Stop in and you’ll see why. 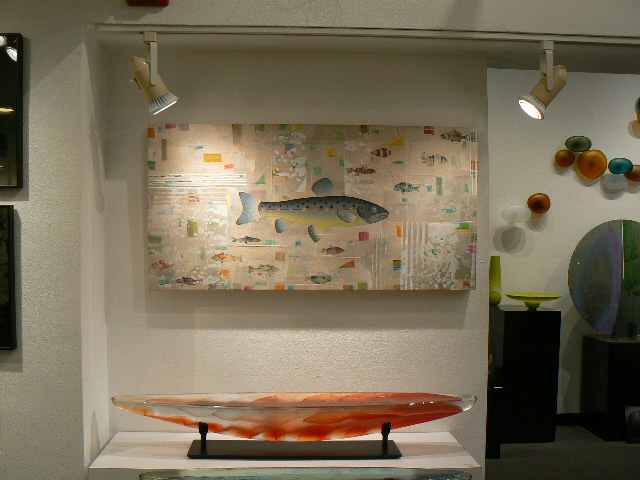 In the spring of 2016 I joined this newly opened gallery, formerly Pismo Fine Art Glass, in Vail, Colorado. Piece focuses on fabulous glass artists from Europe and the States, but the owner, Eva Pobjecka, is integrating other mediums judiciously. She felt my work complimented the magic world of fine glass in her gallery, and I am very fortunate to be represented in this sophisticated gallery, right across the street from the most celebrated new hotel in Vail, at the center of the best shopping and dining in the area. 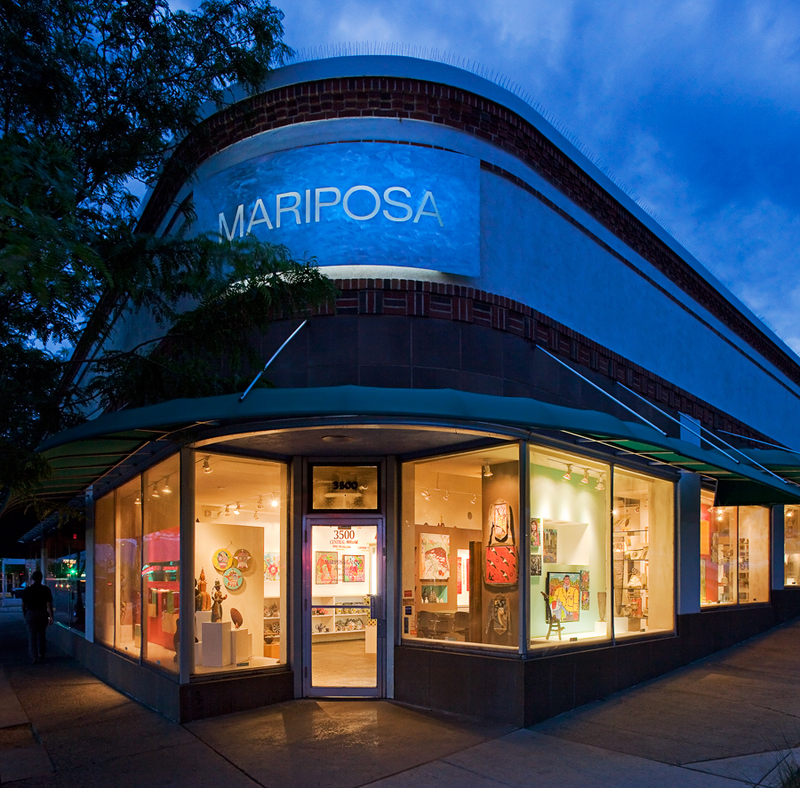 It has been over 20 years that Mariposa has represented me in the Albuquerque area with steadfast support of all of my creative endeavors, for which I am truly grateful. This gallery in the trendy Nob Hill area provided me with my first opportunity for solo and group shows. It is known as one of the oldest craft galleries in the country, with a strong showing of fine two-dimensional work. Owner Liz Dineen has sold everything from my largest paintings to my smallest works on paper, and our relationship abides at the core of my presence as a painter in New Mexico.